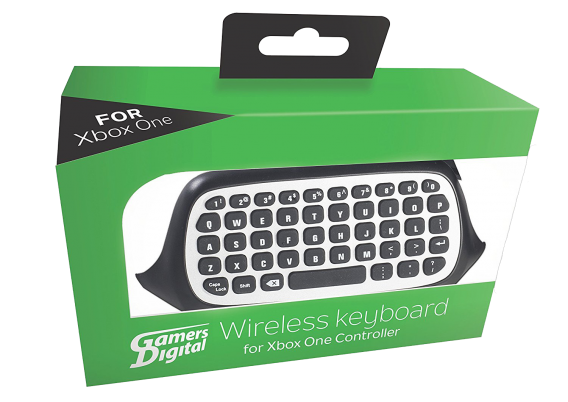 The Gamers Digital Xbox One Mini Wireless Chatpad doesn’t require any batteries or even a charging cord; it is powered solely by the controller. 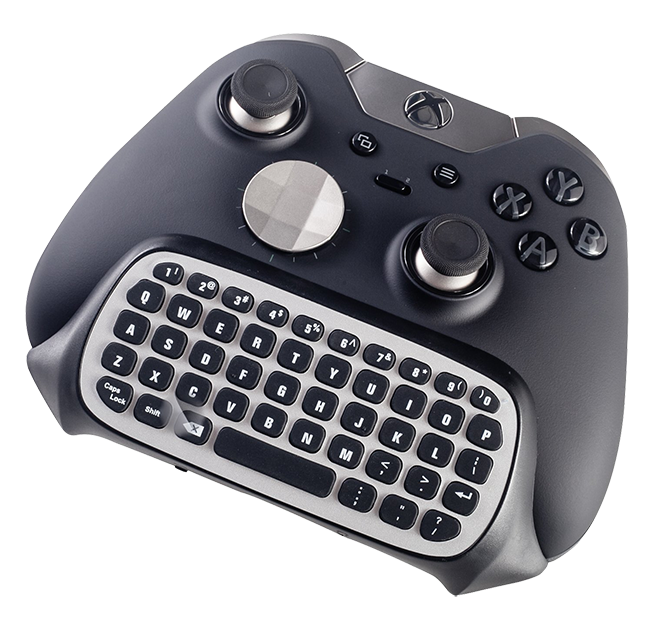 Compatible with all Xbox One versions, including the Elite, this full QWERTY keyboard connects via the controller’s data port. For games that involve heavy multi-player communication the Gamers Digital Wireless Chatpad is the fastest, most efficient way to send text messages, add names and descriptions for custom decals and car designs or name characters. Plenty of Xbox One apps support keyboards, as well. 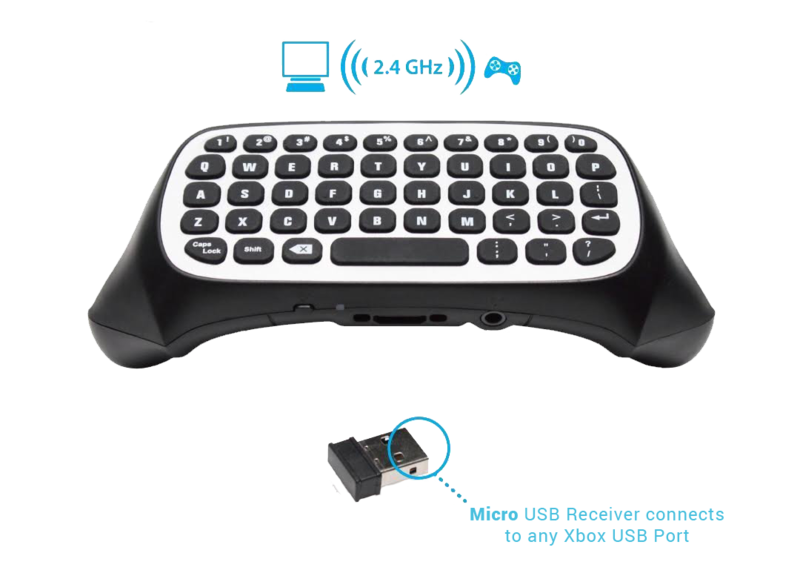 The Gamers Digital Mini Wireless Chatpad lets you input log-in information and do random browsing of popular streaming services. 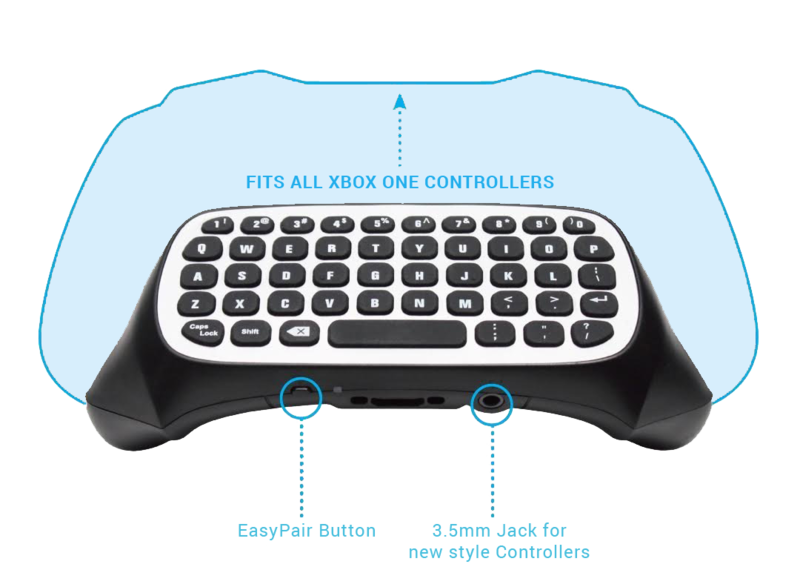 Compatible with all Xbox versions, including the Elite, this full QWERTY keyboard connects via the controller’s data port. 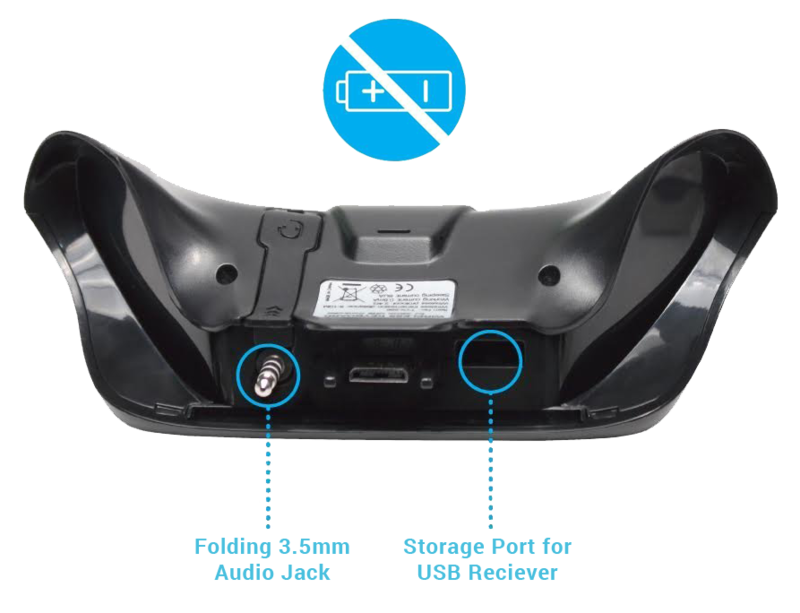 For games that involve heavy multi-player communication the GamersDigital Wireless Chatpad is the fastest, most efficient way to send text messages, add names and descriptions for custom decals and car designs or name characters. Plenty of Xbox One apps support keyboards, as well. The GamersDigital Mini Wireless Chatpad lets you input log-in information and do random browsing of popular streaming services. A long-range 2.4 GHz USB receiver, which also stores on-board the unit, gives you wireless connectivity up to 10-meters (approximately 32 feet). Connects easily to any of the Xbox One USB ports.